First, to the question of today. This comes from Mike Sindler of Seminole, Floriday who is planning to arrive at Snowshoe Mountain on the 28th. He asks, "We are going to Snowshoe Dec 28-31…could you tell me, in your opinion how bad the natural snow will take a hit from the rain today (Dec 23)…My wife and kids don’t ski and like to play in the snow? Mike, we get THAT question a lot. The answer is that natural snow does melt quicker than the manmade variety, however I am certain that there will be SOME natural snow laying around when you arrive. Changes are it will be frozen hard due to the cold conditions for the next several days. Then again on the 28th the temps are supposed to mild up to about 40Â° so it may soften up a little! More on Snowmaking Seems like this season we have been constantly singing the praises of snowmakers in the region. Today is no different. Snowshoe’s Joe Stevens reported yesterday, "As it pertains to snowmaking, our boys continue to rock. I put the calculator to it the other day and we have more than 500 years of experience in producing manmade snow. Now that’s some time on the hill. At one time over the weekend, 246 guns were pumping out man-made snow and Mother Nature, in turn, was pumping it out of the sky. I’ll put our snowmakers and groomers up against anyone in the country." After temps drop today, we can expect all resorts in the Southeast to fire up the snowguns again. They’ll all be putting down as much snow as possible to make for GREAT Holiday Ski and Riding conditions EVERYWHERE. Stevens also said, "By this coming weekend we will be providing nearly 50 trails at the Snowshoe, Silver Creek Areas along with the Western Territory." Is this Snowshoe Day? Must be because we have a bit of information for all of you terrain park fans. Snowshoe Mountain’s "Spruce Glades Terrain Park" is expanding everyday. The Park currently has seven rails, two tabletops and one spine. That’s the most features of any park in the region right now. The new Park Manager, Bruce Persinger, has got his act together and you can expect huge things this year at the resort’s three parks. 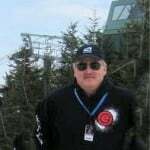 For the latest on Snowshoe Mountain Snowboarding go to www.snowshoeunderground.com!